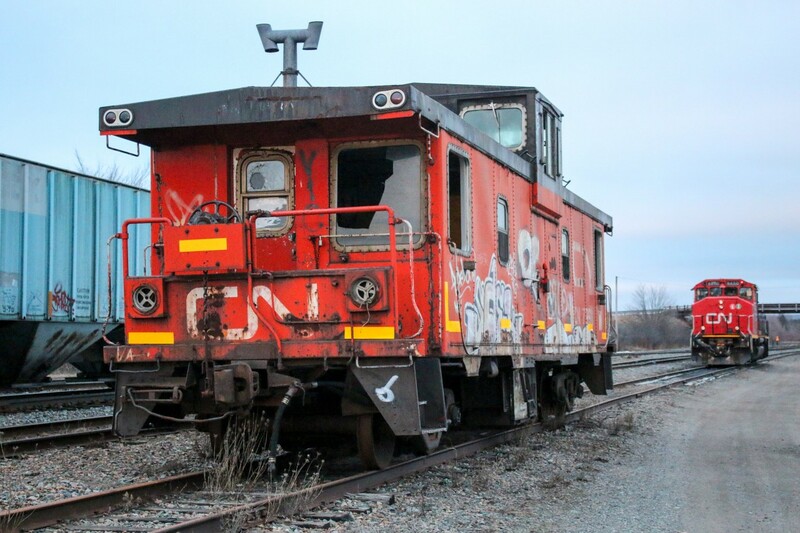 Railpictures.ca - David Hutt Photo: An old CN caboose #79918 sits on the track just in front of CN 9450 which sits idle after finishing work for the day in and around the Truro yard | Railpictures.ca – Canadian Railway Photography – photographie ferroviaire Canadienne. Come on, most of that will buff right out! Seriously, I hope that someone or some group is thinking preservation. Whoops! Looks like I am plenty wrong when I made the statement in your previous photo about this cab not being to beat up. It’s a wreck on wheels.